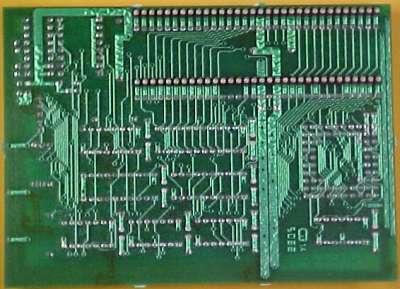 Picture of a Rev 5 Card. 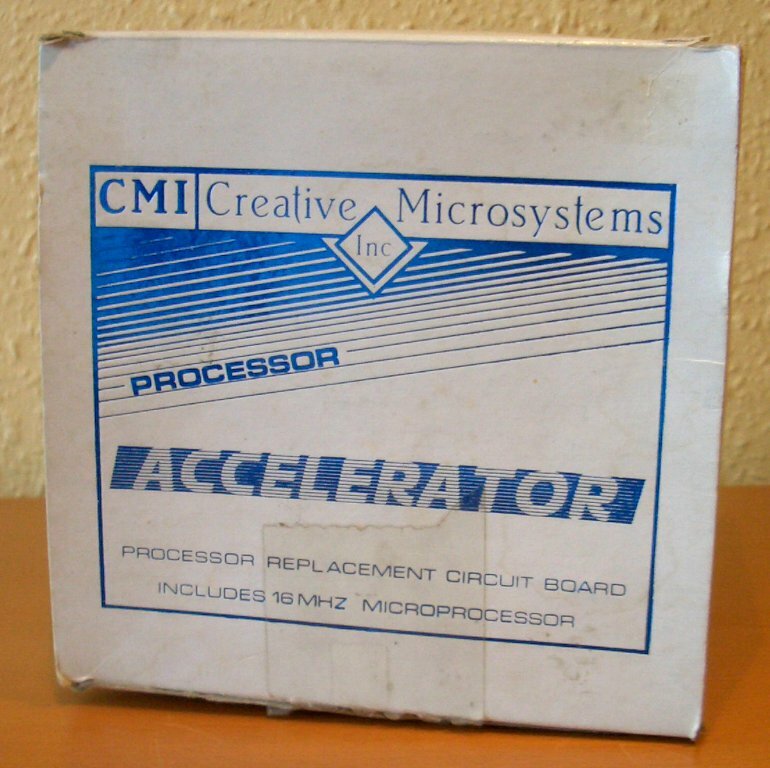 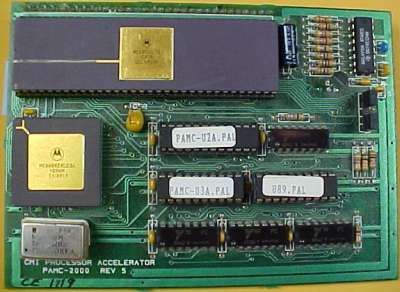 An accelerator board which plugs into the CPU socket of an A2000. 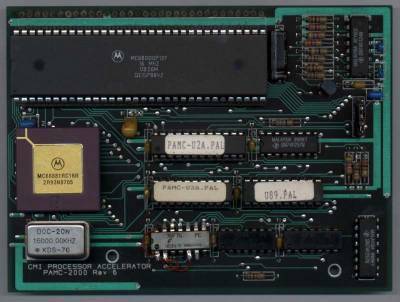 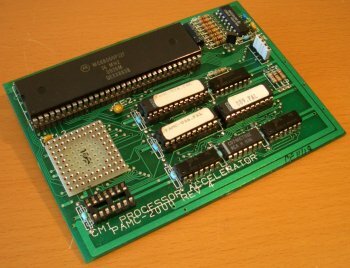 It is also compatible with the A500, however the dimensions mean that it may hang over the Agnus chip, preventing installation of a Megachip. It also hangs over the Agnus in the A2000, however the A2000 has extra space meaning a riser can be used. 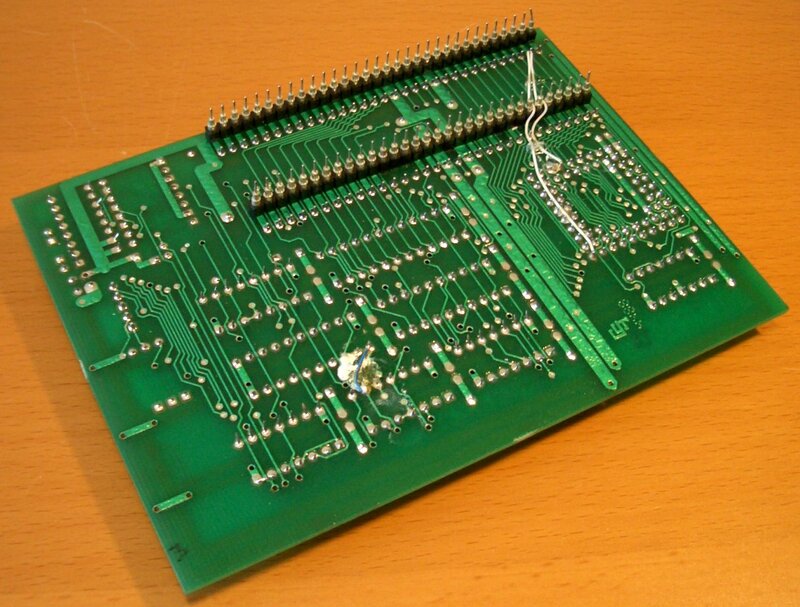 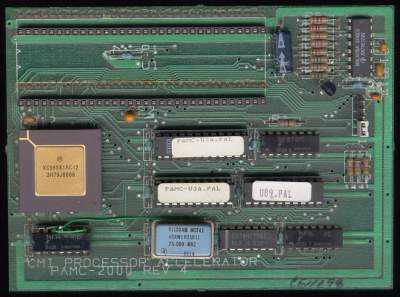 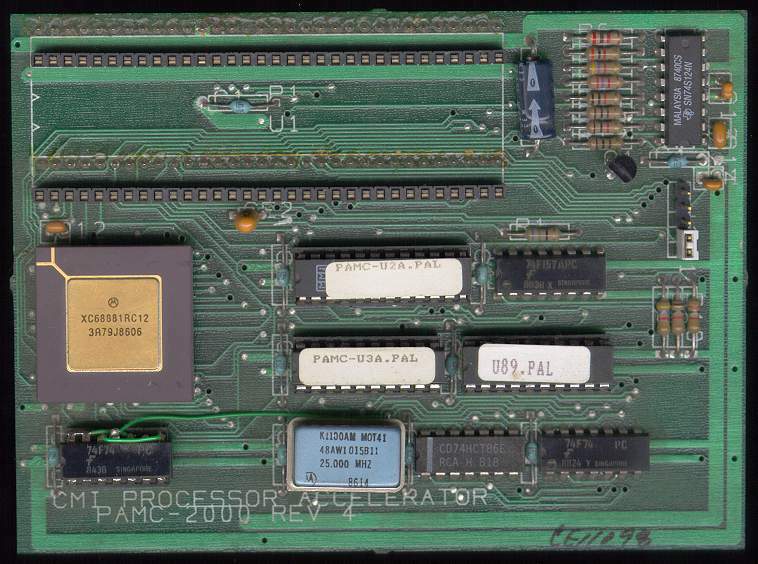 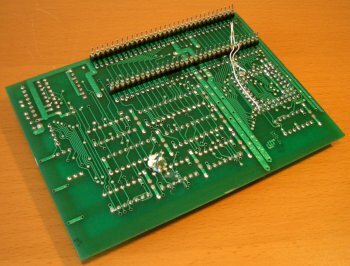 The board also covers the Kickstart chips which may mean you will have difficulting using a ROM switcher. 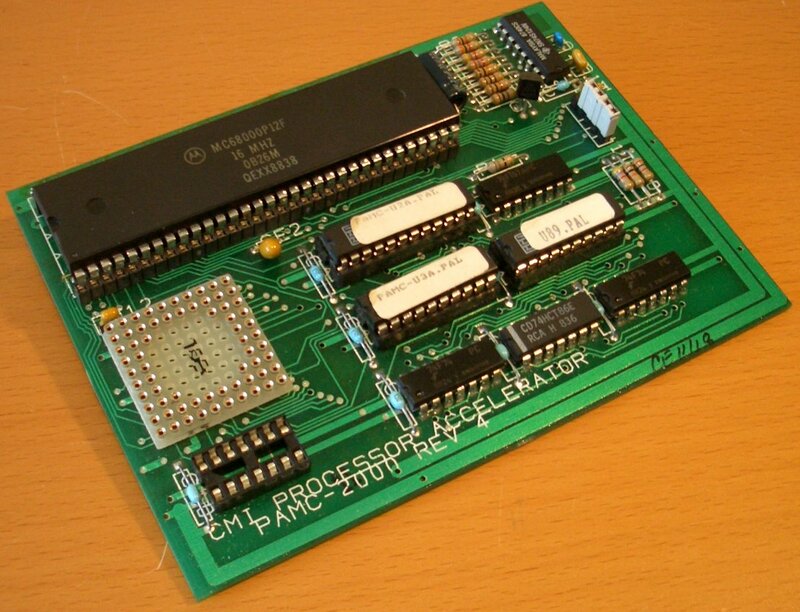 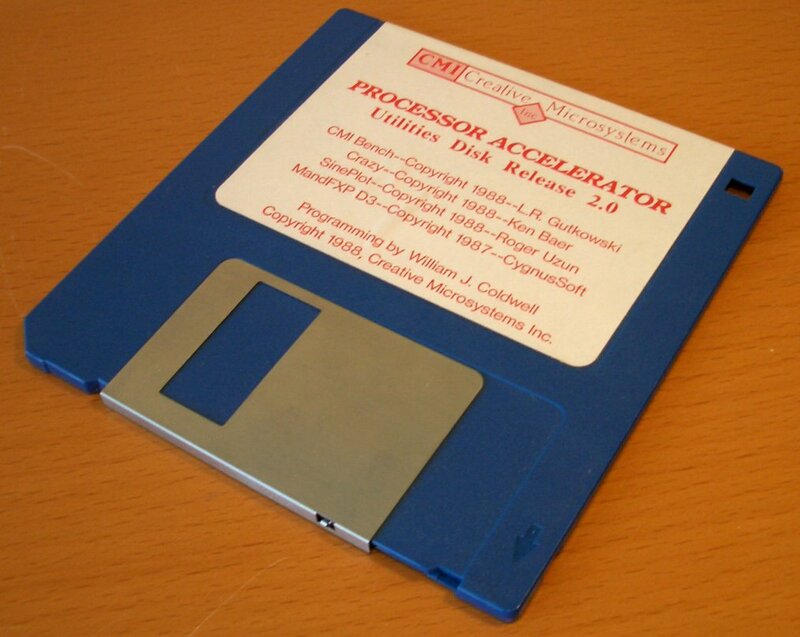 The card can be set to either 14Mhz or 7Mhz using the software provided (PA), dropping to 7Mhz is to help with any backwards compatibility problems. 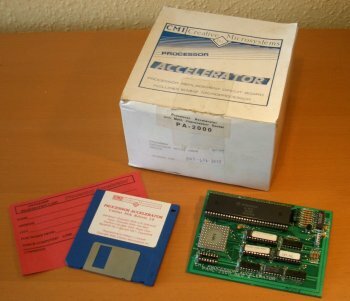 Replacement Workbench 1.3 maths libraries are supplied (providing you are using WB1.3) to take advantage of the FPU if one is fitted.